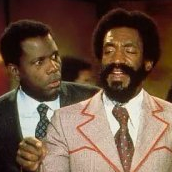 The Bill Cosby–Sidney Poitier seventies comedy Uptown Saturday Night has had its rights in Will Smith’s hands since 2002, with Denzel Washington being mentioned as Smith’s co-star as early as two years ago. Now Adam McKay has been approached to direct the remake after he shoots Anchorman 2. It’s been a while since we’ve seen Denzel flex his comedic chops — which we’re only saying because we can’t recall Denzel actually ever being anything but serious as hell — but with McKay at the helm, and with the vast possibilities of seeing Smith and Washington buddy up, this’ll be one to keep an eye on.